Please note: this design was formerly known as Pike. Construction - Glue-lap-plywood flat bottom. Alternative construction - Traditional plank. Plans include 3 sheets with instructions. 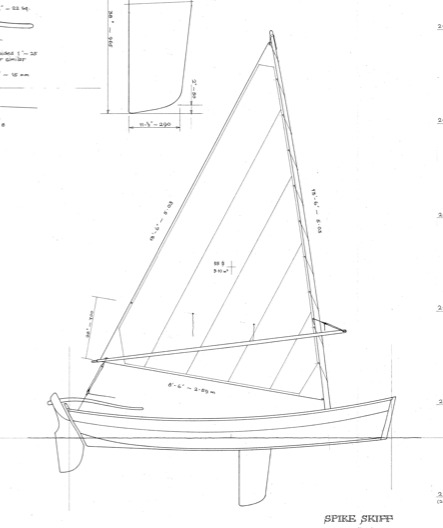 Sail Area - Sprit 60 sq. ft.